Your web site's -- and your company's -- first priority is to achieve high traffic and/or increase sales. Your web site needs to attract customers interested in the products or services your web site describes and your company provides. Search engines are the #1 way that people find web sites for informational or purchasing needs. Achieving top listings in search engines like Yahoo, MSN, and Google is the most important and fundamental aspect of any online marketing campaign. MediaMetrix, a third-party traffic-monitoring firm, reports that over 90% of all Search Engine traffic comes from the major search engines. And Edwardson.com's Search Engine Ranking Service focuses on those top-performing search engines. Edwardson.com’s Search Engine Optimization Service introduces Results SE®, the most comprehensive search engine optimization package in the industry. Our results-oriented approach will bring you more clicks for your money -- more than any other Search engine optimization package. SEO is an important part of Edwardson.com's comprehensive internet marketing and web development services dedicated to the effectiveness of your company web site. Generate a Customer-centric Keyword List: we provide YOU with a list of keywords/phrases related to your business. This list includes ALL of the obvious keywords/phrases. In addition, you will receive a list of related "searched" keywords/phrases related to your business. 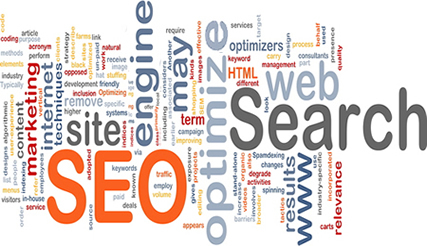 Develop pages of content where each page is highly optimized to rank high on search engines for that keyword/phrase.